Always in style, its looks and craftsmanship speak for itself. The 2019 Ford Edge continues to be America's most sophisticated crossover and its attention to detail can be seen wherever you look. Available SYNC 3 continues to be Ford's class-leading infotainment system. With its easy-of-use coupled with responsive voice-activated technology, it's nothing short of impressive. The sleek, user-friendly interface also matches the Edge's aesthetic so you know Ford has spared no expense with you in mind. 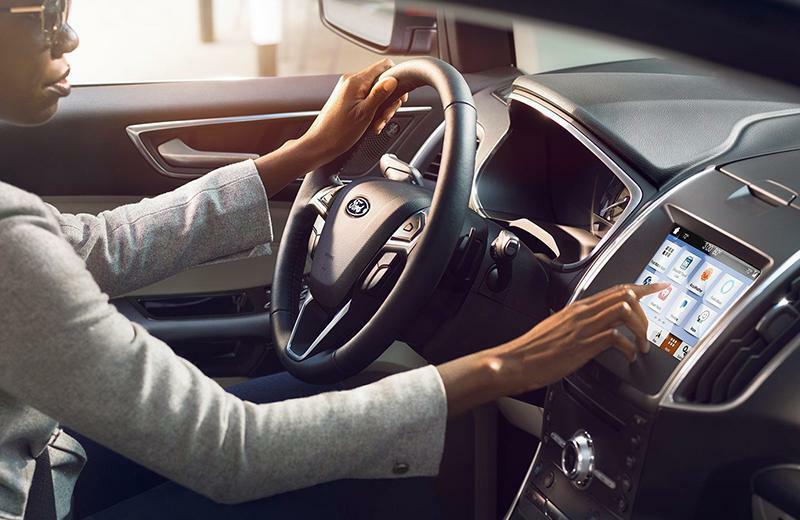 Standard on Edge Sport and available on all other models, Intelligent AWD makes you feel more confident than ever. With sensors to constantly monitor traction and balance torque between the front and rear wheels to enhance handling and maximize stability. Adaptive steering technology on the 2019 Ford Edge adjusts the steering response of the front wheels based on how fast your Edge is moving. Lower speeds allow the front wheels to turn more and higher speeds enable the vehicle to react more smooth and precise. 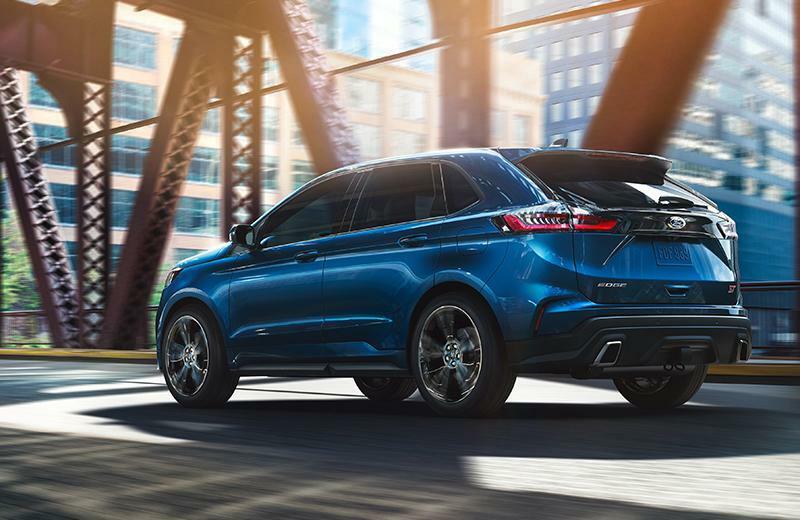 The 2019 Ford Edge Sport is powered by a dynamic twin-turbo 2.7L EcoBoost engine that kicks out 315 horsepower and 350 lb.-ft. of torque–the most powerful gas V6 engine in its class. Whether you're in Santa Monica, Torrance, Manhattan Beach, Gardena, Hawthorne, Redondo Beach or Los Angeles, your new Ford Edge from South Bay Ford is ready to take you home. 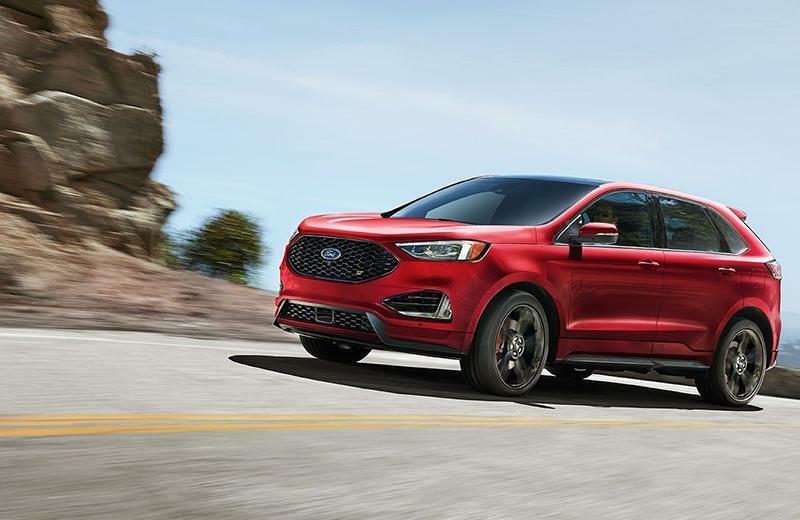 Take advantage of the best 2019 Ford Edge lease deals in Los Angeles and drive off with confidence when you work with the finance experts at South Bay Ford.